‘Skechers Performance' Goa River Marathon (GRM), one of the top 5 marathons of India organised by Vasco Sports Club, 42 Kilometre-run will be held on December 10. This will be the 8th edition of GRM. Kavita Tungar, Skechers Elite Athlete said: "Being associated with Skechers performance has always been a rewarding experience. The brand has always helped me to elevate my performance by bringing in the best running shoes which really make a difference to my game. It is important to be on top of my game, with the Skechers Performance Goa River Marathon has now become a global platform for all the professional athletes for long distance event." 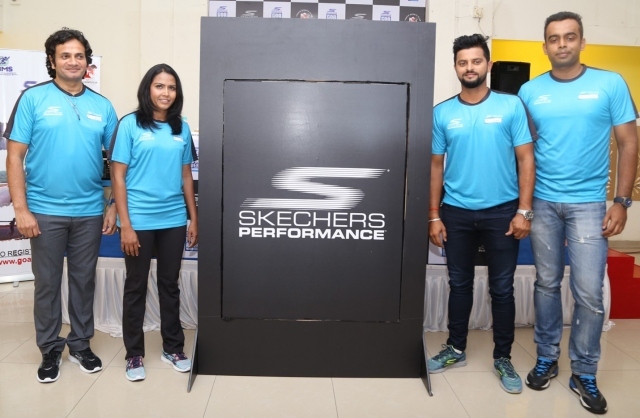 Commenting on Skechers Performance's partnership with Skechers Performance Goa River Marathon, Rahul Vira, Chief Executive Office, Skechers India said, "We are happy to partner with the Skechers Performance Goa River Marathon 2017. Our collaboration demonstrates our dedication to the runners of all the levels, ranging from beginners in the sports to the elite athletes. With the 5th year milestone of our journey in India we will continue being committed to the ‘Strive to Achieve' attitude by bringing in new range of shoes that will inspire and help athletes experience running and walking in all its forms".